Rediff.com » Business » Are wages growing at faster rate than job creation? Are wages growing at faster rate than job creation? T C A Anant, former chief statistician to the government, will soon be heading a panel to decide whether the monthly payroll data released by EPFO, ESIC and PFRDA could replace the quarterly enterprises-based survey on job creation by the labour bureau, the prime minister’s office decided last week. The payroll count provided by Employees’ State Insurance Corporation last week failed to show any conclusive trend on job creation in the formal sector. This is due to problems in the data. The stock of employees getting insurance under ESIC in India reduced from 29 million in September 2017 to 27 mn in February 2018. On average, 1.17 mn contributors joined and 1.5 mn ceased to be contributors to the ESIC every month. The reasons, experts said, cannot be conclusively ascertained. While the Employees Provident Fund Organisation was able to paint a clearer picture of the payroll stock, of 3.1 million new or formal jobs added in six months (Aadhaar being the unique identifier for most of its subscribers), the ESIC data carries with it a high probability of duplication. Employees here could have different registration numbers for multiple jobs. The ESIC payroll for a given month is provisional for at least six months because of delayed filing of contribution by employers. Also, there could be an employee who falls in the exiting cohort in September 2017 but be among the new joiners and contributors in October 2017, leading to high chances of double counting among new contributors. “In the absence of Aadhaar linkage, one cannot draw any inference from existing data, especially when return filing by employers is still on and the data remains provisional,” a senior ESIC official said, requesting anonymity. This remains the biggest inconsistency in the released data. For the first time ever, the ESIC, along with EPFO and the Pension Fund Regulatory and Development Authority, released data on provisional estimates of payroll, based on its subscriptions last Wednesday. The ESI scheme applies to all factories and other establishments employing at least 10 workers. Those with a monthly salary up to Rs 21,000 are entitled to medical benefits under the scheme. Experts and sector observers say there could be multiple interpretations of the data, preventing the reaching of a conclusion. On a cumulative basis, while about seven million became new members of ESIC, nine mn exited from the scheme in six months. Exiting the ESIC payroll could be either due to crossing the salary ceiling of Rs 21,000 a month or owing to a change in or a loss of job. If the exit is due to salary increase, it could mean wages of existing employees grew faster than rate of addition of new or formal jobs. Among age brackets, the highest addition to the ESIC domain, as well as the highest exit, is seen in the age group of 22 to 25 years. This suggests that jobs are switched, new jobs are added or existing jobs are formalised to the greatest extent in this age group, while salary increases, as well as job losses to some extent, also appear in the same age bracket. “Analysing and interpreting this data is fraught with challenges. It is difficult to understand what amount of change in the stock pertains to people crossing the Rs 21,000 monthly salary ceiling, making it difficult to get an estimate of the count of formal jobs,” says Radhicka Kapoor, senior fellow, Indian Council for Research on International Economic Relations. ESIC issued month-wise data showing the number of employees who paid contributions, number of employees registered and employees who ceased to be a member during that month. “While the EPFO data has been cleaned to a good extent, ESIC data has not. 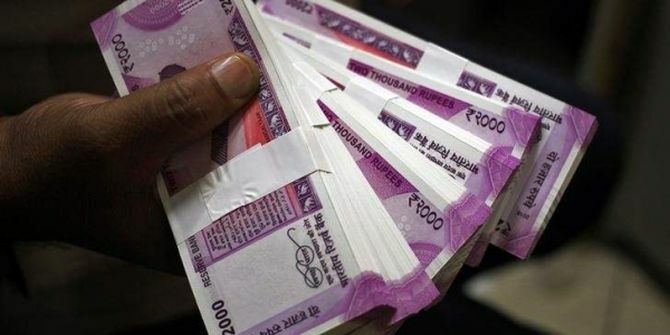 The reduction in stock of contributors could be due to de-duplication of previously contributing accounts which have become dormant now,” T C A Anant, former chief statistician to the government, told Business Standard. Anant will soon be heading a panel to decide whether the monthly payroll data released by EPFO, ESIC and PFRDA could replace the quarterly enterprises-based survey on job creation by the labour bureau, the prime minister’s office decided last week. “Under ESIC, the employee contributes 1.75 per cent of his salary and the employer contributes 4.75 per cent. "Keeping a previous employee on the ESIC roll comes with a loss. Why would an employer keep it?” said the personnel manager of a leading manufacturing company, suggesting a low probability that one person would be counted twice in a single month. However, as the data is provisional, a person who has become a non-contributor in a particular month might still be counted as a contributor. “The ESIC data also mirrors the payroll growth shown in the other two sets of data, from EPFO and PFRDA. Since ESIC data is not Aadhaar-seeded, there is further scope of some modifications,” Niti Aayog admitted in an official statement recently. About 900,000 employers are registered in ESIC, with 27 mn employees contributing and 124 mn ultimate social security beneficiaries (all household members).